Benefits - Welcome to the Puerto Rican Hispanic Chamber of Commerce of Polk County! Membership for one year. (Please see what is outlined per membership level). LINK TO LINK - An additional $25 per year - for levels Silver and beyond are included. Non for Profit , Individual Copper and Bronze Levels not included in perk. IMPORTANT: As a member of our organization you get the opportunities to network amongst your business peers and learn about other products and/or services.That is why the directory is available at your disposal. 2. Mutual Respect amongst any and all Board & Chamber Members. Zero tolerance for bad faith amongst each other. This can be and not limited to: Bad publicity , verbal or written harassment , slander , misrepresentation of goods, services and or contracts. Memberships maybe and can be canceled for lack of there of.Board members , committee heads maybe and will be released or terminated after a remaining board members and Board of Directors headed by the other sister chambers with the PRHCC families throughout the state of Florida. We will vote according to the bylaws instilled in 2007. 4. Offer your co-members discounts towards your services/products.Suggested member to member 20% OFF.Please have this in writing not as a verbal agreement.We would not want any misunderstandings.The PR/HCCPC is not responsible not liable in exchanges of goods within members. 5. Partake in at least 50% of the chamber events.Either through participation or attending. by PRHCCPC first and foremost.No OUTSIDE Event Planners nor executive level personal of said companies. Please come through the chamber office to plan such an event or service. 9. Any members placed on a committee or elected into the board should allow a background check(when deemed needed) to be performed, once this is cleared you will be placed into the post. 10.No one is allowed to make comments to the media without approval of the Board of Directors. 11. ALL future members need to have all and any tax ID's , permits and registries with the state and county in order. 12.Attend the chamber anniversary awards annual luncheon/dinner ... MANDATORY and if not available send a representative. 14. Any committee heads will serve their tenure as per the Chamber President and the Chamber Board. 15. These rules can and will be altered to suit the changing and growth of the chamber and it's affiliates.  Copyright © 2011 Website maintained by PR/HCCPC - Web Design by PRHCCPC,Inc.